As winter break nears, it’s time to get into the holiday spirit! Even though it may not feel like winter in Southern California, this 30-track holiday playlist will get you through finals and/or the last few days of work and on your way to celebrate with loved ones. From NSYNC to Michael Bublé, relive the classics and discover new tunes with this playlist. 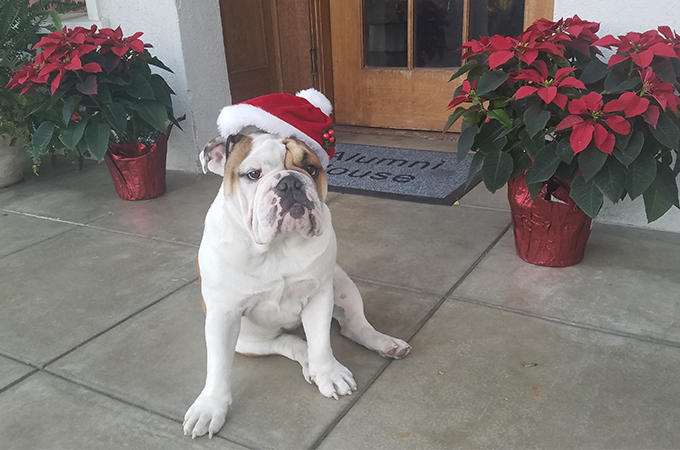 If you’re lucky, you might even catch a glimpse of U of R’s bulldog mascot-in-training Addie or the late mascot Thurber’s niece, Opal, in their holiday sweaters as you listen! Happy holidays, Bulldogs!